The 45-km Sengottai-Punalur section in the Western Ghats is a fourth gateway between Tamil Nadu and Kerala. CHENNAI: Nearly after eight years, the first train between Chennai and Kollam is set to resume through Sengottai-Punalur section, one of the scenic routes in the country, with the Southern Railway set to operate a special fare special train between Tambaram and Kollam. The 45-km Sengottai-Punalur section in the Western Ghats is a fourth gateway between Tamil Nadu and Kerala after Coimbatore-Palakkad, Pollachi-Palakad, and Kanniyakumari -Thiruvannathapuram. The 112-year-old metre gauge section between Sengottai and Punalur was dismantled in 2010 for gauge conversion. The project was executed at the cost of `320 crore. The Punalur-Sengottai section is part of the 325-km Kollam-Sengottai-Tenkasi- Tirunelveli- Thiruchendur gauge conversion project. The rail route in the Senkottai-Thiruchendur and Kollam-Punalur sections has already been completed and opened for rail traffic. The conversion works were delayed as the railway had to dig up hills and caves to match the width of broad gauge. The rail route works also pass through the century-old heritage 13-arch bridge in the Thenmala station. 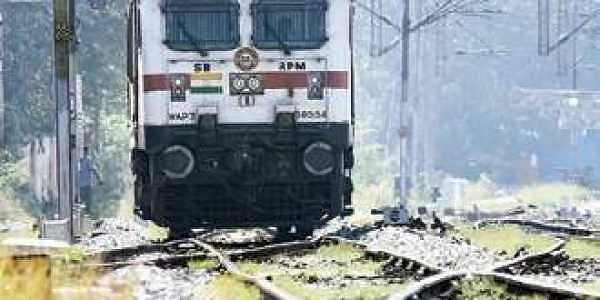 The section was cleared by the Commissioner of Railway Safety in January for train operation. There are three stations en route - Bhagavathipuram, Thenmala and Edaman. In a press statement, the Southern Railway said that on Friday the special train will leave Tambaram at 5.30 pm and reach Kollam at 10.30 am next day. Similarly, on Saturday, the train will leave Kollam station at 1 pm and will arrive at Tambaram around 5.05 am on the next day. A senior official of the Southern Railway said a proposal to operate daily train from Tambaram to Kollam via Madurai has been sent to the Railway Board for approval. “Soon, a regular daily train would be introduced,” added the official.